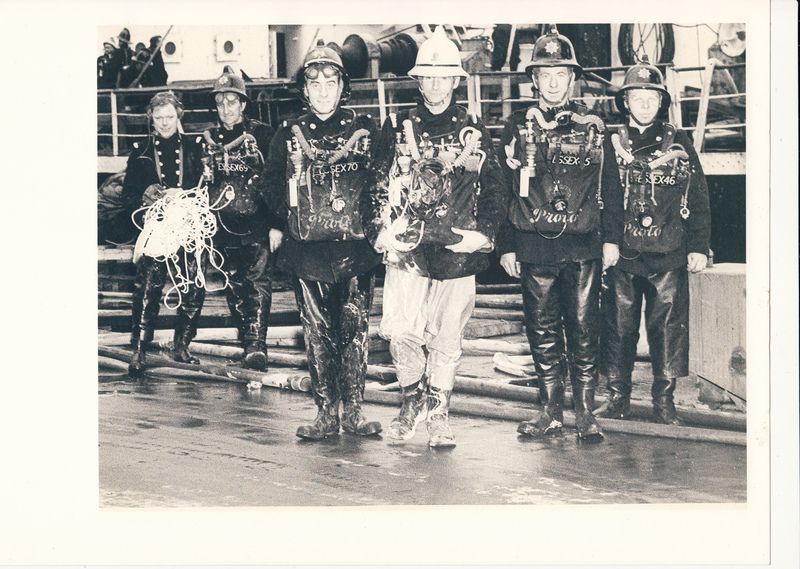 Some fireman from the Tilbury Fire Station after fighting the fire on board the Jalaganga in the late 1960s. On the far right is Roger Hammond……..do you know anyone else in the photo? 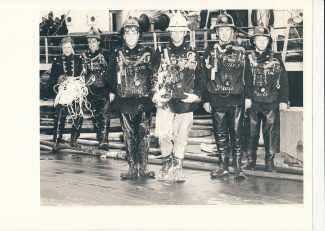 Thank you to Essex Fire Museum for the photo.